Bebsol is the best way to watch music videos online and for free. 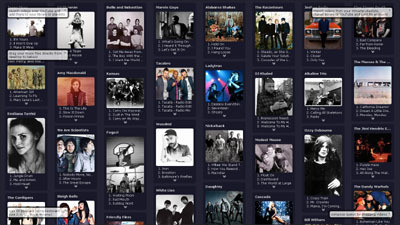 It finds them using your MP3 playlists, iTunes libraries or last.fm and YouTube accounts. Just drag your files from desktop and drop on the bebsol page.